Nissan is at it again. 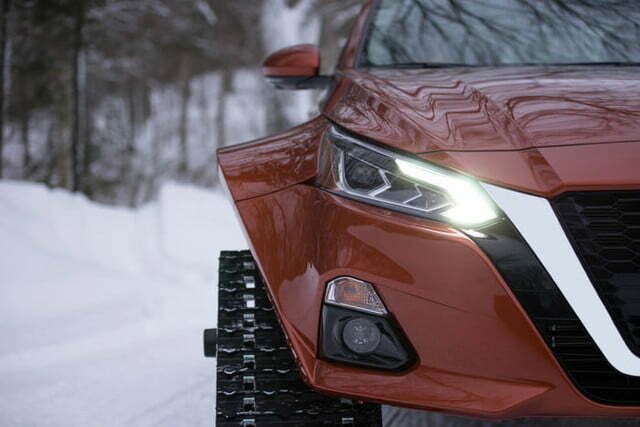 The Japanese automaker has a penchant for putting tank-like tracks on ordinary vehicles. This time it’s the 2019 Altima. 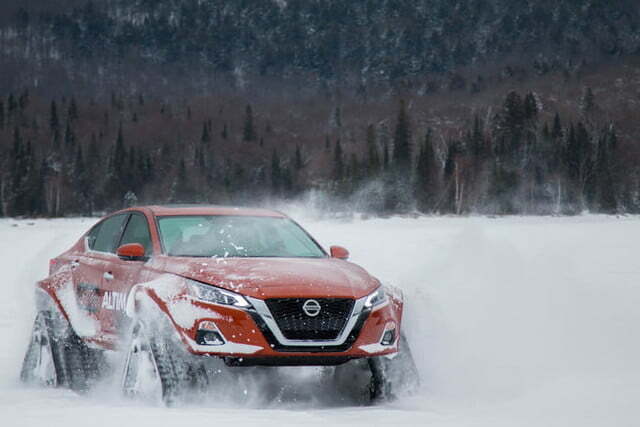 Nissan’s Canadian division fitted tracks to the recently redesigned midsize sedan to get some attention at the 2019 Montreal Auto Show. 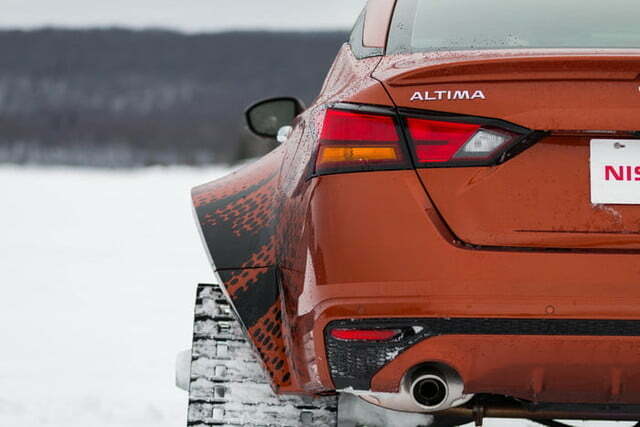 Dubbed “Altima-te AWD,” the snow-ready sedan should turn plenty of heads. 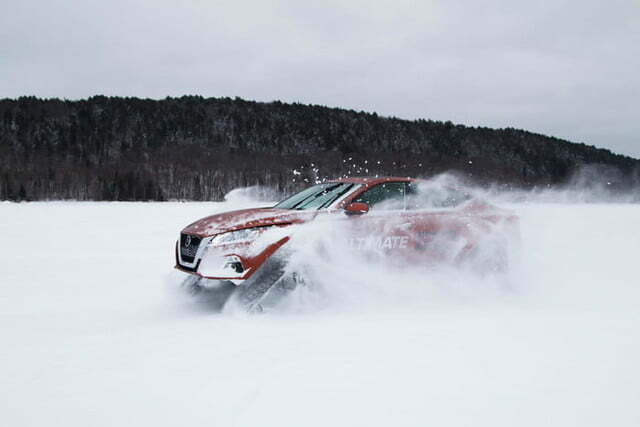 The car was built to highlight the availability of all-wheel drive on the Altima for the first time. Buyers are abandoning sedans for crossovers, partly because most sedans don’t offer all-wheel drive, which is preferred by buyers in snowy climates. 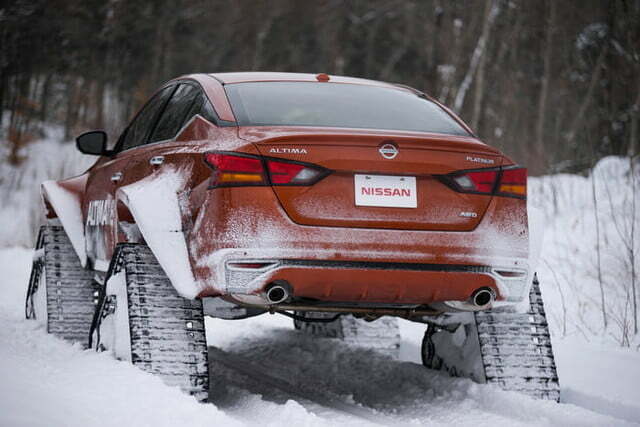 So Nissan added all-wheel drive to the Altima in an attempt to boost sales. All-wheel drive is standard in Canada, where the Altima-te AWD was built, but U.S.-spec Altimas are also available with front-wheel drive. The tracks bolt directly to the wheel hubs. It looks like Nissan needed to raise the ride height and modify the bodywork a bit to make them fit, but the automaker didn’t mention any other mechanical changes. All-wheel drive Altimas have a 2.5-liter four-cylinder engine, but front-wheel drive models sold in the U.S. are available with Nissan’s VC-Turbo, a 2.0-liter turbocharged four-cylinder engine with variable compression, meant to offer four-cylinder fuel economy with the power of a larger engine. 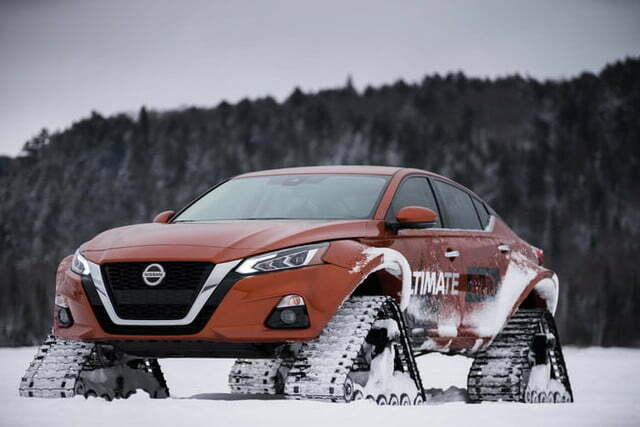 This is not the first time Nissan has put tracks on a regular production car. Just a few weeks ago, Nissan unveiled the Juke Personalization Adventure concept, a track-equipped show car built for the 2019 Tokyo Auto Salon. That creation is based on the Nissan Juke, an oddly styled small crossover that is no longer sold in the U.S., but is still available globally. In 2018, Nissan puts tracks on a 370Z convertible to create the 370ki (pronounced 370-ski). 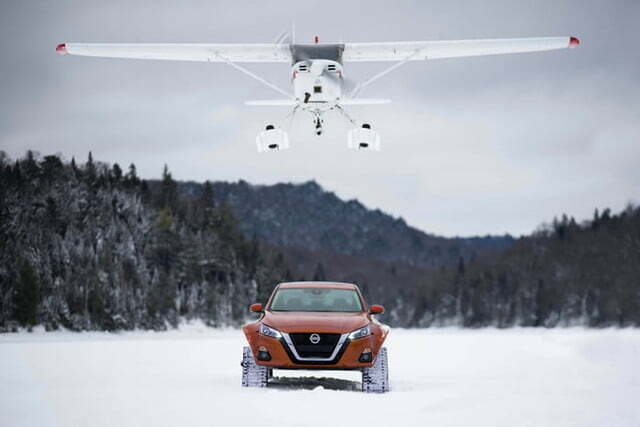 We’re not sure drivers of convertible sports cars were looking for extreme snow-driving capability, but that didn’t stop Nissan. Prior to that, the automaker built the Rogue Trail Warrior, a track-equipped version of the ubiquitous Nissan Rogue crossover. 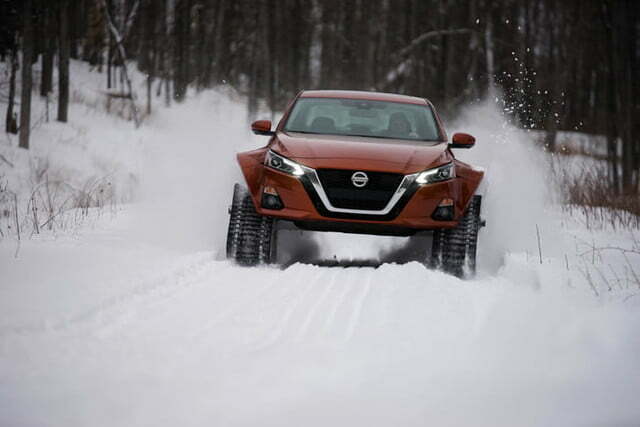 Don’t expect tracks to be added to Nissan options lists anytime soon, though. 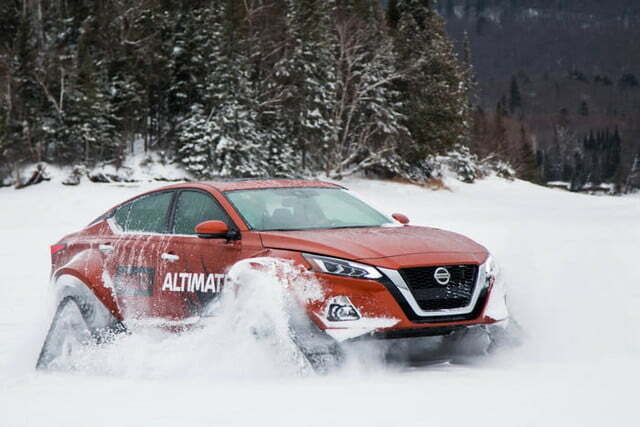 Like its predecessors, The Nissan Altima-te AWD is just a show car. 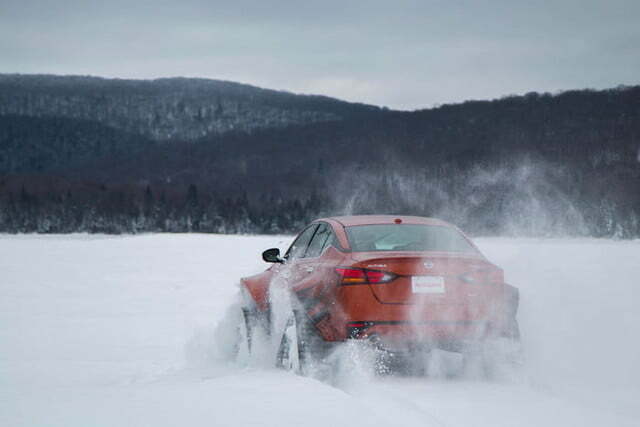 But tracks are readily available through the aftermarket, so if your midsize sedan doesn’t seem up to the task of driving in winter weather, you know what to do.